Mr. Reynolds hosted the Form VI boys at a luncheon at the Century Association, an event that marked the end of the semester-long Advanced Expository Writing class. Each senior wrote and revised a variety of college essays, ranging from the Common Application essay to the various supplements required by colleges and universities. Operating as a writing workshop, each student shared his essay with the class, received constructive criticism from his peers and Mr. Reynolds, and revised his essays as he saw fit. The high point of the lunch was each student's reflection on which one of his peers' essays most moved him. The reflections were thoughtful and revealed the depth of attention and seriousness each student brought to the table to make the workshop a valuable experience. The boys were fortunate to have Mr. Botti and Mr. Pelz join in the class-ending celebration. 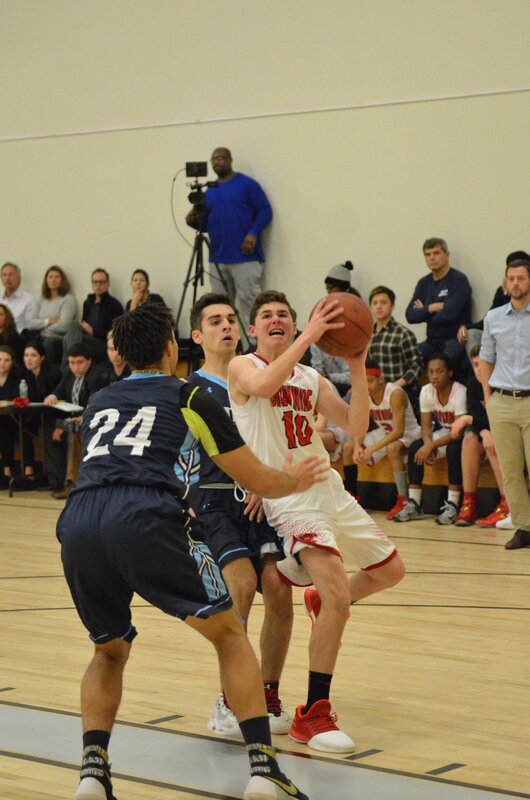 The Varsity Basketball Panthers earned their first win of the season against UNIS, while the JV Panthers bounced back with victories against LREI and Trevor Day. Lower School boys warmed the winter morning of January 19 with an informal music recital. Upper School boys attended a presentation by members of the Model UN delegation who will attend the Ivy League Model United Nations Conference (ILMUNC) in Philadelphia on January 26. The representatives spoke about what comprises a desirable Model UN delegate, as well as the current political situation in the Republic of Yemen, which they will represent this year at ILMUNC. After their presentation, the group answered questions by Upper School boys in the audience. It was a great weekend for Browning Hockey as the Mites defeated Buckley on February 21. The Mini Mites also played in a tournament against Buckley, St. Bernard's, St. David's and the Hawks (a club team), winning three games and tying for one.